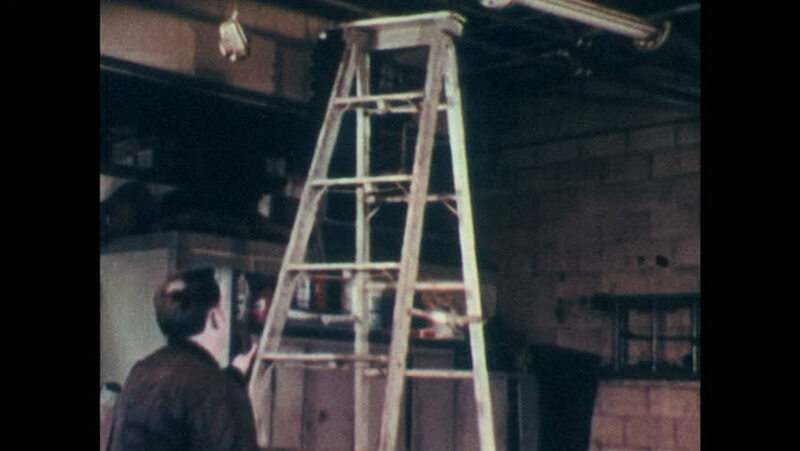 1970s: Man carries extension light up ladder. Man drops bulb on oil puddle. Bulb explodes into flames. Woman works near factory assembly line. hd00:14Pedestrians and commuters walking to work in London on a sunny morning near Waterloo station. hd00:09NEW YORK CITY - SEPTEMBER 2016. Re-enactment, recreation of 1920s, 1930s Gangster / Mobster / Hitman in building. Firing Shotgun to kill / murder someone during prohibition days.